When your project demands the imagery and definition of a full-color display, but with a unique wide aspect ratio format, the Phoenix Display Bar Type LCD displays are the ideal design candidate. 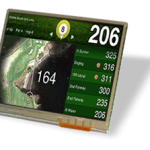 Available in a variety of sizes and capable of displaying a full range of color, the Bar Type TFT color LCD display modules from Phoenix Display can be integrated into any number of projects in multiple applications. In addition, if one of our standard display modules doesn’t suit your needs, Phoenix Display can create a Custom LCD Display designed to your unique specifications. If you’re looking into an outdoor application, Phoenix Display has the ability to transform these into sunlight readable configurations to make you product shine even in the outdoor environment as well as the indoor showroom. And if touch screens are needed, we can use our standard or custom resistive and projected capacitive touch panels for any application.